Relocation to Otley ! ? 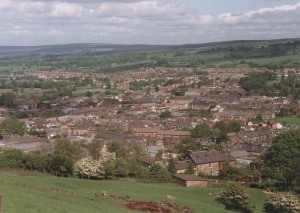 Otley is a Yorkshire market town of about 15,000 people, set on the banks of the River Wharfe. It is an ancient, friendly and picturesque town with a rich commercial and community life. 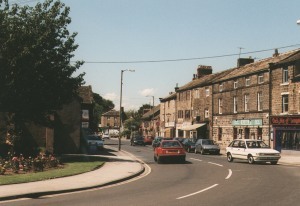 The town lies in attractive countryside in Mid-Wharfedale at the centre of the rural triangle between Leeds, Harrogate and Bradford. Immediately to the south of the town rises Otley Chevin, which gives magnificent views over Mid-Wharfedale, and in the past provided much of the stone from which the town centre was built. Much of the town centre is eighteenth or nineteenth century or earlier and has Conservation Area status. Otley has been here from about the mid-Eighth century, when Otta made his Leah or clearing in the forest. Since then Otley has evolved a rich and varied character. Its Parish Church houses some of the best examples of Anglo-Danish crosses in the country. Thomas Fairfax, Cromwell's general came from nearby Denton Hall. Thomas Chippendale, the world-famous furniture maker was born and learnt his craft in Otley. Turner often stayed nearby, and used the Chevin as the backdrop for at least one of his famous pictures (Hannibal crossing the Alps). The Wharfedale Press, which revolutionised nineteenth century printing, was invented and manufactured in Otley. And the town hosts the country's oldest agricultural show. The town continues to be a varied and resourceful place. It is still very much a market town; with a cattle market, agricultural suppliers, blacksmiths, paper manufacturers, printers, engineers, lens manufacturers, a busy shopping centre and popular open markets. There are events throughout the year, the Otley Show in May, the Carnival in June, the Folk festival in September and the Victorian Fayre in December to name but a few. The town centre is renowned for the number and quality of its pubs, and the surrounding countryside provides ample scope for walking, fishing, riding and other outdoor sports.